I had a great buying experience. Everyone is honest, friendly and helpful. 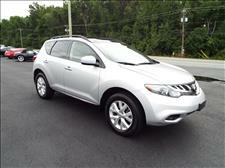 They have a variety of good, safe, and quality used vehicles. The cars have low miles and are in great condition. The best car sales experience you'll find. Everyone I spoke with was so genuine and kind, having no problem giving advice and assistance for all things finance, warranty, and registration related. 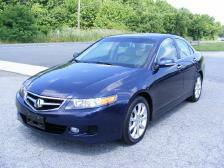 This business has a no haggle sales model, and had a fair, comparably low price for the vehicle I wanted. I bought my car without having to haggle any grimey salesmen and had no "additional fees" tacked on. Thanks to the United Auto crew for a great deal!! Thank you so much, Ronnie and United Auto Sales!! 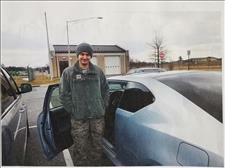 Our Airman 1st Class loves his 2014 Scion tC! (He was sick on this day or he would have looked more exited in the pix, but he was so happy!) Thank you for your support of your local Serviceman/women. 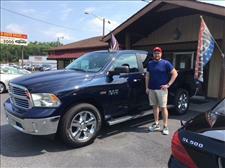 After a long exhausting search we found the perfect truck at United Auto Sales! I so wish I found this dealership sooner. The staff were friendly, knowledgeable and made the purchase super easy! I will definitely buy a car from United again. Highly recommended. 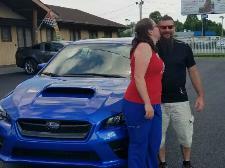 "I bought a 2015 WRX from Brian in May 2017, and appreciated his patient professionalism and obvious love and knowledge of cars. Brian sells a lot of Nissan 300Zs, but made sure that I got the right car for me, not just the car he wanted to sell, and I have been extremely happy with my WRX. So when I needed to store my 'baby' while I traveled for business, I could think of no one better to ask for advice, and Brian did not disappoint. Great service after the sale! He told me what I needed to know and clearly 'enjoyed my enjoyment' of my perfect car. Thanks, Brian! Hands down the best car buying experience in my life! I recently spent 6 weeks trying to buy a truck from other dealers. I became very frustrated with the games they played with the numbers and the pressure tactics used in their attempts to get me to sign the dotted line. I never felt I was getting a fair deal with these other dealers. 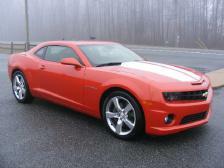 In my frustration I continued my search and found the vehicle I was looking for at United Auto Sales. Ron and Brian allowed me as much time as I needed to look this truck over, drive it and look it over some more. They took the time to listen to my needs and answer my questions. I never felt pressured or uncomfortable during this process and in fact enjoyed meeting these guys and the conversations we had. 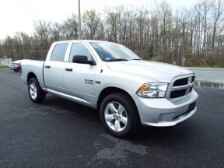 I know I got a fair deal and a quality truck that I thoroughly enjoy. Brian stayed late on the night before Thanksgiving to sell me the truck and he even found me a better finance rate than by own credit union. I don't normally do this but my experience was so pleasant that I have already referred several friends to United Auto Sales. I would definitely buy from Brian and Ron again. 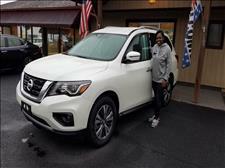 We purchased a 2016 Nissan Rogue last week. 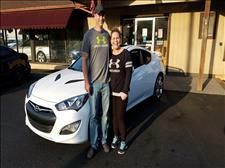 There was no pressure to purchase and they were very helpful on explaining all the features of the car. The actual purchase of the car was the easiest and fastest we have ever experienced. Pleasure to deal with. No pressure. I was online looking for a specific car. New car dealers and various websites were constantly blowing up my phone. Not United Auto Sales, Inc., they let their inventory do the persuasion. One call back to see if I wanted to schedule a test drive. Applied online, 8 minutes to sign the paperwork. Car beautifully prepped. Great experience. Ronnie and Brian made the experience friendly and easy. Great buy. We will go through United Auto Sales for our next purchase. Thanks again. Hands-down the best experience buying a car I've ever had. Ron was polite, knowledgeable, and not pushy in any way. 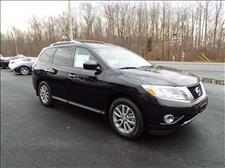 The selection of cars on the lot made it hard to choose, since there are so many great looking vehicles in stock. I essentially left here with a car on nothing more than a handshake and a signature, as my auto loan couldn't be processed until Monday - but they went above and beyond to ensure I didn't have to drive back to Delaware from PA because of this little mixup. Be warned, there isn't a lot of room for negotiation in thier pricing, so don't expect to haggle much. However with the quality and condition of these cars - you really won't need to! Went to the dealership a month after buying it - came back with absolutely 0 issues on the car! No better indicator of quality in my mind. Thanks Ron! I LOVE this car!!! Drove over from NJ & was definitely worth the trip! 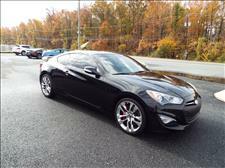 Good deal on Infiniti Q60 coupe. Beautiful condition, low miles. Ron was a pleasure to deal with. Personable, professional & no sales pressure. Even after showing me some features of the car, the process was quick & easy & the car was mine in no time. Would highly recommend this dealership!! I just wanted to thank you again for the great purchasing experience I had with you all. Ron and Brian are fantastic people in general, but great at providing the information about options regarding financing, purchasing and having a general flexibility overall. I really can't remember ever having such a good car-buying experience. I'm really enjoying the truck and so are my boys. We love it. Thanks again, and I hope to work with you again in the future for our next purchase (I hinted at looking for a Highlander in a year or two for my wife's next car). I flew from Chicago to Delaware to buy this car. The car turned out to be a gem – better than I expected. I spent the whole day with these guys – great guys, very knowledgeable, easy to work with, no pressure or hype. They’re a good, long–term team, and are very selective about what they put on their lot. I absolutely recommend United Auto Sales – you can count on these guys for a fair and good deal. 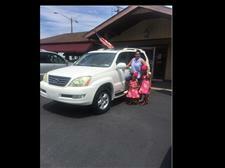 We have now purchased two family vehicles from United Auto Sales. We loved the first in 2013 when we had our first child and are now enjoying the second in 2018 when we've had our fourth! At the rate our family is growing, it won't be too long before we're back again for an even larger vehicle. The team at UAS is top notch. They really know what they are doing and can truly get you anything you want. They are very personable and treat their customers like family. We highly recommend United Auto Sales to everyone looking to make their next car purchase. I brought my recent suv from them in Feb and the whole experience was great. 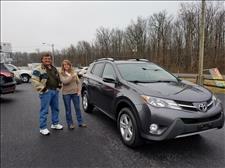 They were really knowledgeable about the car and it was an amazing deal. With my previous car, I had buyers regret immediately after the purchase but with this one I love everything about it. Thank you so much. I just purchased my 9th car from United and the service was the same as it was back when I bought my first vehicle from them back in 1985 - great! Brian and Ron not only sell quality vehicles but they stand behind their products. 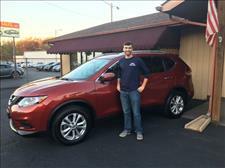 As a result, I have referred countless happy people to this dealership including two of my sons. They service what they sell and have great prices! I will continue to buy all of my cars from them! Probably the best car buying experience my wife and I have ever had! 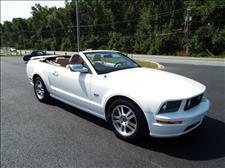 United Auto Sales has become our go-to place for vehicles. 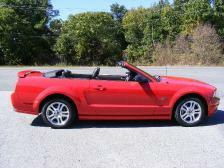 Previously, we purchased a Ford Mustang from them that was so pristine it was hard to believe it wasn't brand new. The staff was friendly, knowledgeable, supportive, no-pressure, and downright neighborly! It was this environment that had us contacting them again when we found ourselves in need of replacing a pickup truck vital in our household. 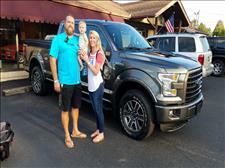 Again, Brian and crew went above and beyond to give us the best possible buying experience for an outstanding truck (which I like even better than the old one we had to replace!). We cannot thank them enough! Thank you. We love the Mustang! It was a complete pleasure doing business with your company. I love cars but working with dealerships these days has become quite unpleasant. You folks are obviously real car people with a quality business ethic. You put the fun back in buying a car for me and I thank you. See you next time! Had a great experience, Ron and Brian took great care of us! Love our new ride! 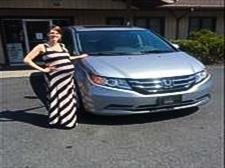 I had an excellent experience purchasing a vehicle from United Auto Sales. 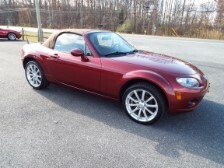 I have been searching for a low mileage mazda miata PRHT (which is fairly rare) for quite some time. 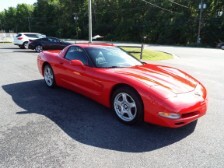 I found one for sale at United Auto Sales with 4500miles on the odo and it appeared in excellent conditions. However, I live in Boston and so I wanted to get as much information about the vehicle before making the trip to Delaware. Brian and Team have been exceptional at communicating with me all the details about this car. Brian spent several hours with me on the phone and in emails answering my questions, providing information, negotiating a price, and arranging a time to pickup the vehicle. 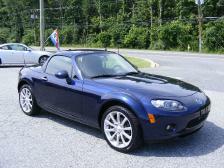 When I arrived the Miata was in perfect condition as described, the paperwork was a breeze, and I was off. I have yet to find an auto dealership with this high of a level of integrity, knowledge, and customer service. It truly shows that they take pride in their business and this gets reflected in how they take care of their customers. 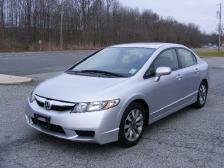 I am a car enthusiast and exchange vehicles very frequently. I have complete trust in Brian and the team to find me the right vehicle the next time around. I highly recommend United Auto Sales and judging by their positive reviews so do other customers. Thanks for such a good experience. We just bought our car from Brian. This place is a dream! We found them through Cargurus. We looked at a few other cars, even sat at the table at another dealer and as they started their game, I found United Auto had the same car, fewer miles, and better price. When we arrived, the car was even better in person than the pictures. Working with Brian was like sitting with an old friend, and we got a very fair deal. We live 2 hours away, but when we need another car, I'll call Brian and just let him find us one! I strongly suggest you do too! Brian and staff were extremely friendly and knowledgeable. There was zero pressure and the process was as smooth as glass. Easiest car I ever bought. Thank you! Got my 2012 Scion TC from United and would definitely recommend working with them. I had a great experience and felt that their honesty and integrity with their clients not only sets them apart from the competition but is something rarely seen in the industry all together. Was searching for months before coming here and finding my best option all along. That is because they sell nothing but clean ready to drive cars at the best possible price. You would be remiss if you don't at least give them a look. 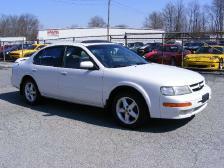 We have completed 5 auto sales and purchases from United Auto Sales. They make the experience so easy. I let them know what I wanted and they were successful in finding me the perfect car, so much so that my husband did the same. No pressure. I enjoyed doing business with you, Brian and Ron. It was a very cordial yet professional encounter. I came away pleased with the deal. United Auto Sales is worth the trip, no matter where you are. Good people, good car, good deal. I have purchased 9 different cars in my lifetime and this was the best experience and value that I have ever had. The sales staff top notch and the vehicles are meticulously chosen and well-maintained to deliver amazing experience. Couldn’t be happier. 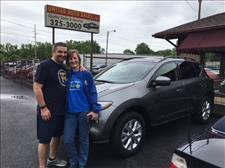 Our family recently purchased our 4th car from United Auto Sales. Sometimes you might be reluctant to buy a used car. No need to worry dealing with United Auto Sales. Ron, Brian and Dave carefully check every car. We continue to bring all of our cars to Dave for servicing. They are very honest and a pleasure to deal with. 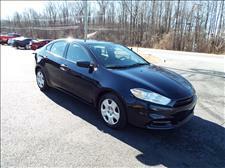 We are always recommending United Auto Sales to anyone we hear who is looking for a car. 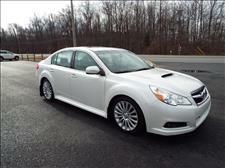 Went to United Auto Sales from The Boston, Massachusetts area for a Subaru I could not find locally. The car was as advertised, well maintained with no surprises. Ron made the process very easy considering we were buying from out of state. I would definitely buy from Ron and United Auto Sales again. 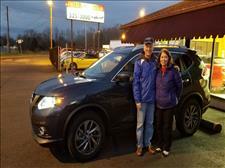 We had an immediate need for a car to replace our 150,000-mile 2004 Honda Pilot. This was our first time ever purchasing a preowned car. United Auto Sales came highly recommended by friends. The entire experience – from telling Brian our price range and Brian showing us a variety of cars (all in excellent condition) that could work for us on Monday evening to purchasing and financing the car we chose on Tuesday evening – was phenomenal. It was absolute best (new or preowned) car buying experience we have ever had. 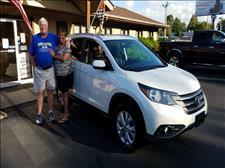 We purchased a 2013 Honda CRV with under 30,000 miles. Brian reviewed all the “bells and whistles” that came with the car before we left the lot. In all the times we have bought a new car, the dealer never went thru all the details that Brian went thru with us. We highly recommend United Auto Sales. Brian, Sandy and Ron were outstanding in every aspect of their customer service. I usually do NOT leave feedback but had a great experience with Ron and Brian. 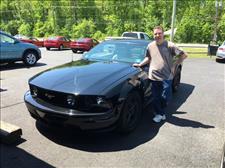 Both were very knowledgeable about every feature on my vehicle and Ron made the financing part of the purchase quick and stress free. I would definitely recommend this dealership and drove over an hour from New Jersey to purchase my vehicle because of reviews I read. Great dealership and amazing people to work with. Literally everything you would want from a dealership. Would definitely buy a car from them again. First off I have purchased 2 going on my 3rd car from here this week. Don't let the location or the size of dealer throw you off. Also dont look at the cars and think no way can I afford anything on that lot. They have the knowledge and experience to find mint condition cars that all have great resale value and will last forever. They are a family business and they treat their customers that way. I am hopefully having my 3rd car delivered tomorrow from United. They are not in it to get rich. They are passionate and love what they do. Every car I purchased here I was never upside down. In fact I had equity in each car driving off the lot with little down payment. Best dealer on east coast hands down. Brian was super helpful and really took the time to understand what I was looking for rather than just trying to push a car onto me. 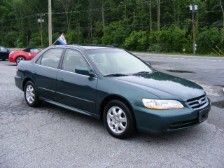 This was my first car purchase, I was very nervous and everyone was very patient and understanding with me. Even though it was a smaller purchase and finance, everyone treated it as if it was a million dollar purchase. I would recommend this dealership to anybody. Very knowledgeable sales person and good price for the car. I just bought a car from them today and totally satisfied with the service they provided. Also they have provided very good variety of options for the car warranty with low price. I definitely will recommend this dealer. Last year United Auto Sales sold a car for me and two weeks ago I bought one from them. Both experiences were excellent. They are great people to work with.......honest and knowledgeable. Wonderful experience! 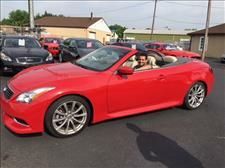 I was looking for a specific color and model of a Hyundai Genesis coupe and United Auto Sales had it...along with a great price tag! I was nervous to travel so far just to look at a vehicle (NC to DE) and maybe come back empty handed but I fell in love with the car and the service Brian and Ron delivered! Brian showed us all the bells and whistles and made sure we were comfortable driving the Genesis back to NC and answered all our questions. 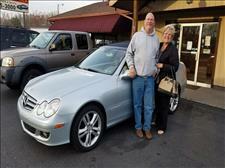 Ron worked very hard at getting us in and out with the car buying process and were very pleased. Will recommend United Auto Sales to anyone! 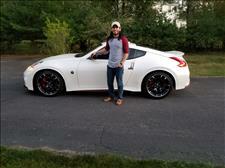 My husband went with my father to buy the car he's always wanted - a Nissan 370Z. 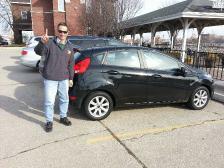 My dad is so happy with his new car and had a wonderful car buying experience with Brian. My husband also raved about Brian. 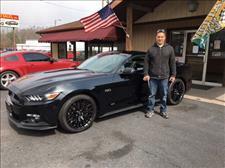 We will be back to United Auto Sales for our next car - thanks for an everlasting impression and complete honesty, Brian! We bought a GX 470 from United Auto for our Mom, and she absolutely loves her car. Customer Service was by far one of the best we have experienced at any car dealership. I would purchase another car from them in a heartbeat. I highly recommend them for a purchase of your next vehicle. I love my car! 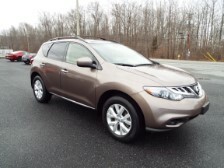 I bought my Nissan Murano from Ron and Brian in February. My uncle introduced me to them after he purchased a red Corvette. United Auto Sales are good people with good intentions to give you the right car for the right price. Proof was w/my carfax report. I even take my car back for oil changes. Thanks Ron! 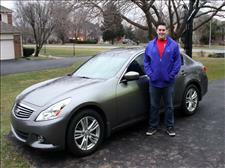 Great experience with buying a G37! Five Stars! Working with Ron and Brian was great! These guys are very down to earth and transparent. 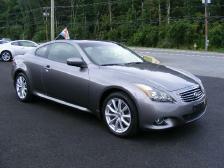 Smooth transaction buying my G37. No gimmicks or games... just great service. I plan to have a long relationship with them and buy more vehicles in the future! Honest and friendly family owned and operated business with a good selection of low mileage cars that are in great condition. 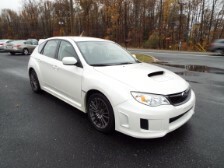 We were able to take a test drive and make a deal on our WRX in a timely manner. They even did a follow up call the next day (Independence day!) to ensure we were satisfied with our purchase. I purchased a 2010 Subaru Legacy GT from United Auto Sales, Inc earlier this year and I couldn't have been happier with my experience. I live 10 hours from Delware and was nervous about traveling that far to purchase a vehicle. Sandy, Ron and Paul were very responsive to my inquiry. They provide me with all of the information I requested, sent me additional photos of the car and did a detailed vehicle walkthrough over the phone while I looked at the photos. Ron agreed to hold the car for me (without requiring a deposit) and I booked the plane tickets. Ron then picked me up at the airport and brought me back to the store for a test drive. The car was exactly as described. Following the test drive, we finished up the paperwork in about 10 minutes and I was on my way. I highly recommend them to anyone looking for a fair deal on a nice car. 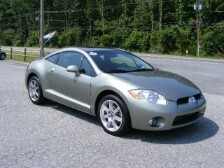 I purchased my first used car from Brian 15 yrs ago. It was a GEO Prism which I drove for 5 yrs and took it back to them for regular service. The vehicles they have for sale are clean and reliable vehicles. I trust their service dept as they have never told me that I needed something that I didn't. Don't see the vehicle you're looking for in their inventory, no problem, tell them exactly the vehicle you are looking for and they will go find it for you. I just purchased a car from them for my daughter and trust that it will be a good reliable running vehicle for her for years to come. The people at United Auto Sales are honest, sincere, and will not sell you a bad vehicle. They were great! This was the first time I ever went to a car dealer and was in and out. It took about 20 minutes.... I'm use to sitting for hours at car dealers. Now I have a dealer where I can buy from. Ron was greaaaattttt!!!! He showed me how my car works and I test drove it by myself. Usually at car dealers they ride with you.. They trust their customers. Also, the communication with Ron was awesome! 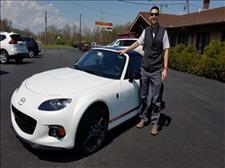 Oh yea, I bought a Mazda Miata. Her name Blu... If your looking to buy a car this is the place to go!! Brian and all the guys were awesome!!! my visit and buying experience was so pleasant and refreshing. I came down from central New Jersey. They respected the fact that I came from a distance and spent a great deal of time with me. They are so knowledgeable and really want to make sure they are selling you a quality vehicle. Ron and Sandy were great to work with . 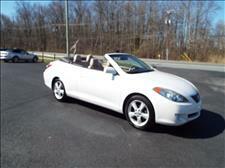 The 2006 Toyota Solara needed a motor mount to pass Maryland inspection and Sandy backed up her commitment that vehicle would pass inspection. 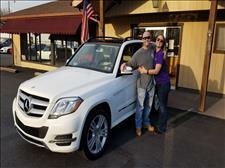 My wife and I will definitely recommend United Auto Sales to our family and friends. What a great dealership! Everyone was so helpful! I have bought a lot of vehicles from franchised auto dealers in the past, they do not come close to Brian, Sandy, and Ronnie at United Auto Sales. They are ethical, educated, care about their customers before, during, and after the sale. 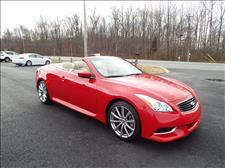 My Infiniti G37 convertible is awesome and fun to drive. Before you buy elsewhere, check them out, you won't be disappointed. Whether you want a sports car, luxury vehicle, or daily ride, check them out. If Brian doesn't have what your looking for, he will find it. Great experience, thank you. I bought a G37x from United Auto Sales back in January 2017. I went in just to check out a few vehicles I saw from their website and there I first met Sandy. 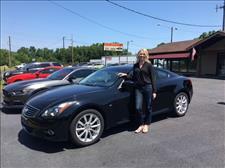 She was so nice and very knowledgeable, not pushy looking for a sale like you find at a lot of other dealerships. She was very personable and you could tell cared about what I was looking for in a vehicle. She worked very hard in setting me up for financing through a local credit union making sure I received a great rate. Here it is a little over 3 months later, I still come back for oil changes and will continue to do so for all other services, they are so nice and make you feel very welcome any time you come in! Will definitely be back for my next vehicle. Thank you Sandy, Ronnie, and Brian! Easiest car buying experience ever! I highly recommend United Auto Sales. I've bought a lot of cars in my life, and this was by far the easiest car buying experience. Ron was fantastic! This evening I received the most amazing service! 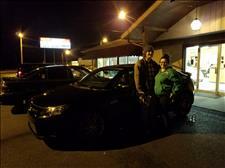 Ronnie was awesome and so helpful, he helped me drive home in my amazing new car! He even agreed to wait for me to get off work. So down to earth! Spent more time chatting and laughing than it took to buy the car. Such a great place with great people. You guys made it so fast and super fun and easy. Thank you so much!!! This place was great. The staff was extremely helpful and friendly. I would highly recommend checking them out if you're in the market for a car. I was very happy to find a dealer that didn't give me the usual "sales pitch". It was a foggy day so our salesman, Ronnie, produced a squeege and proceeded to wipe off the car so we could get a good look at it. He even went so far as to point out little dings or minor scratches he found. That's not something a big car dealer would do. We were made to feel as though he really wanted us to be happy with our purchase, not just a "make a sale and get us out the door" kind of place. 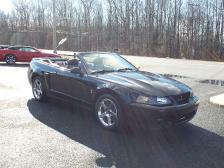 The car was clean and detailed inside and out as well as under the hood. We also met the co-owner, Sandy, who was just as nice and helpful as Ronnie. My husband and I were very impressed. Thanks so much! Great Experience here at United Auto. They worked with me on my limited budget and got me to where I needed to be on the car I wanted. From bringing the car indoors so I could inspect the it and not get soaked in the rain to detailing the vehicle perfectly before I picked it up. They were honest about everything so you can Buy with confidence. Ron and the entire staff are very knowledgeable and accommodating. Thanks Again! I have to give this company a LOUD shout out!! My son had been looking for a good deal no bull.... dealer to buy the right car from for over three months. The owner Brian and his staff made it happen for him today. No push and shove they let him sit with the decision as long as he needed and decide what was right for him. They even went as far as to give him friendly advice against becoming car poor (not your average car salesman). As a women and a mom I was impressed with how they treated such a young man with respect. Thank you all for making this be his decision. I was a new customer- and I give 5 + stars to this dealership- they are auto dealer experts in all areas from auto quality to auto financing- I highly recommend them. Great people to work with, nice, easy to get along with. Great people to deal with, no pressure. 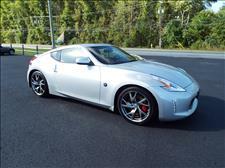 Plus got a great price on my 2014 Z!! My son blew his engine, car was not bought from United. Towed the car to United Auto. Ron & Dave worked their magic. Ron went on the hunt for a new engine, would not buy one if it did not have a decent carfax. Once they found one they liked Dave took over and everything went smooth. Before they would give the car back to us they drove it for about 30-40 miles to make sure things ran properly. They put it back up on the lift and checked it out again. These guys go above and beyond car sales. They also do great service and are awesome people. Hard to find these types of people anywhere today. Bottom line if you are looking to deal with good honest people, go to United. 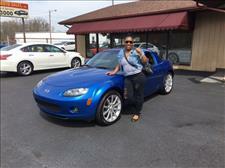 I had a great experience dealing with Ron on the purchase of my Miata from test drive to signing the paperwork. I give United Auto Sales my highest recommendation. 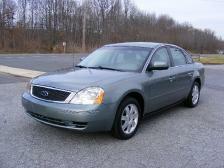 Check them out if you are looking for a good quality used car. This was the first auto I have purchased From United Auto Sales.I found Ron and the team to be very proffesional with no high pressure tactics in selling cars. I received an honest straight deal and will be back again. 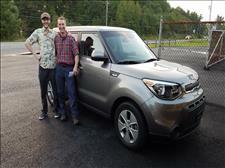 I purchased a 2013 KIA SOUL from Brian & Ron a month ago. It had low miles, looked new inside and out and it runs great. 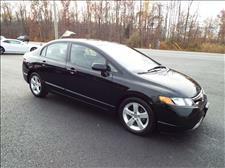 This is the 4th car I have purchased from United Auto Sales and they are all been priced right and ultra reliable. Not only are the cars good but, Brian and Ron are great guys. Very helpful and courteous! These guys do it right the first time... Great experience. Just wanted to drop you a note and let you know that I am extremely pleased with this car. I’ve put about 800 miles on it already since I purchased it and it really runs like it was new. I gave it a complete going over the other day changing fluids and plugs, etc etc. The only thing I could find wrong with it was rear sway bars which I replaced. Thanks again for everything. If I ever hear of anyone looking for a vehicle I’ll be happy to send them your way with a clear conscience. If you are looking for a multi-million dollar showroom with all the bells and whistles don't go here. If you enjoy the process of having your sales person having to run back and forth with the "bosses" at the main desk to present you with their newest offer, don't go here.If you enjoy the feeling of having to take a shower after the experience you had to go through to buy your car, don't go here! HOWEVER, if you want just a straightforward, fair and pleasant buying experience, by all means stop by and see what they can do for you! We felt the deal we received was very fair and they arranged a better finance rate than the good rate we were already pre-approved for. Very refreshing....... thank you Ron, Brian and team. Five Stars! We just bought our third vehicle from United Auto Sales and couldn't be more satisfied. 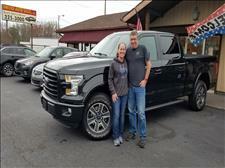 Brian and his team worked with us to find just the right vehicle for our needs. We've been happy with all our purchases. Brian, Sandy, Ron and the rest of the team are always knowledgeable, friendly and helpful. The service department is excellent. We wouldn't go anywhere else to look for top-quality pre-owned vehicles! 5 stars! I take my car there to get serviced. They have extraordinary customer service, excellent pricing; and most of all, HONEST. 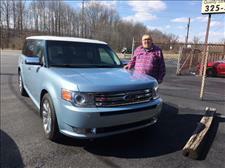 I just purchased a Ford Expedition from United Auto Sales. It's beautiful. 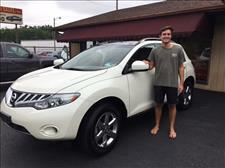 Brian and the staff made purchasing and financing a breeze. This was the best car purchasing experience I have ever had. I saved a fortune. I can't say enough about the entire staff. This was the second vehicle I have purchased from them because of how they operate. Honest and straight forward. I only recommend United Auto Sales to all my friends and family. My family and I have been using United Auto Sales my entire life and we have never had a bad experience. If I am counting correctly that is over 20 some car purchases not to mention service visits. Brian, Sandy, Ronnie and Dave are amazing and they really go out of their way to help the customer. I always make sure to send business their way. Amazing service, great cars! I have bought a lot of cars and every time I leave a dealer I feel kinda slimy knowing they got over on me somehow BUT not this time. This is by far the best car buying experience I've every had. 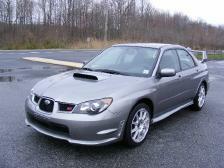 They gave me a good price for my truck and had a great price on the WRX hatch I'd been looking for. My salesman Ron was very nice, knew what he was talking about and very easy going and none of that "let me talk to my manager" garbage. He even stayed late so we could wrap up the sale. I would definitely recommend this place to anyone looking for a quality car. ***** Excellent purchasing process. Very happy with the car I purchased. 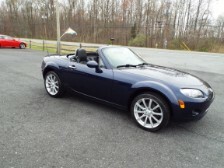 Our experience of buying our 2010 Mazda MX5 from UAS couldn't have been better. 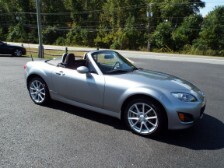 After doing considerable research, including through the USAA Car Buying Service, I decided that a Miata/MX5, and specifically the great one at UAS, was the car for us. Runs great, looks terrific, and is loads of fun to drive; especially on roads like the breathtaking Skyline Drive where we just went on vacation. Thanks again to Ronnie and the whole team for great service which helped us buy a terrific car. 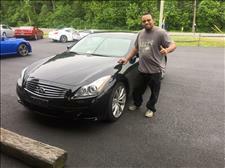 I have nothing but great things to say about this dealership and the guys I’ve worked with on purchasing my 2013 Infiniti G37. Very knowledgeable and straight forward guys. I absolutely love the “no pressure” sales technique. 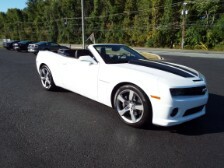 I will definitely be heading back to United Auto Sales for my next vehicle purchase! Great experience with a hand shake deal! Walked into dealership after driving 4 hrs and walked out with my low mileage 2004 Svt Cobra. 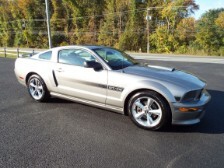 Great selection of used muscle or European cars! Would recommend to anybody. Excellent Customer Service! 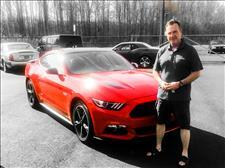 Brian and his staff are top notch at what they do and it goes beyond being knowledgeable about the car business. They have some of the best customer service, including outside the car industry! I first met Brian in 1994. I already had two older cars when I met him. It didn't take long to realize he was not only knowledgeable and enjoyed what he does, but I knew I could trust him with the service of my cars. He never recommended repairs that were not necessary. Fast forward 20 years when I was ready to buy my next car and I knew who to ask. Brain is very detailed in finding out what you want and need, and appropriately gives recommendations to help you think thru your car buying decision. I never hesitate to recommend Brian to others due to his integrity. 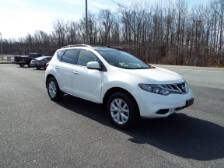 Brian and his staff will make you feel welcome and work hard to find the perfect car for you! You will enjoy the experience with United Auto Sales! 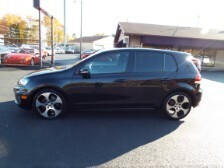 I found this car at Cars.com. I, like other reviewers, had never purchased a vehicle from anyone other than a major manufacturer dealer and had concerns about United Auto Sales being a fly by night used car lot with high pressure sales. 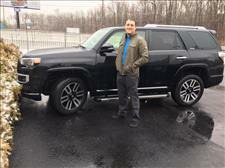 I decided to drive down to United from my home in New Jersey given the positive customer reviews and vehicle inventory. United had a few different vehicles I was contemplating. All were very clean. The vehicle I specifically came to see was remarkably clean and ran well. The battery was dead when we first attempted a test drive but that was quickly remedied with a quick start jump and United purchased me a replacement battery even though the battery performance seemed fine once I test drove the vehicle and drove it home. The buying experience was completely positive. 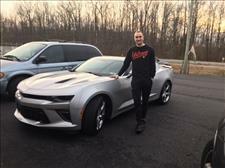 I test drove the vehicle and was so enamored by its condition and performance that I decided to purchase it without test driving the other vehicles of interest United had in inventory. 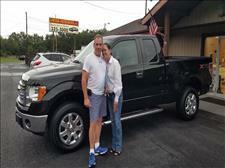 Brian and Sandy (the owners) and sales associate Paul were all very friendly and helpful. They presented me with the CarFax report and receipt of some rear work that they had done on the car. Even though they were busy that Sunday afternoon, I was in and out with the vehicle in less than 2.5 hours. I own five vehicles and will likely shop at United for my next vehicle purchase. Thanks again for a positive used car buying experience.  I found this dealer via cars.com. I've always bought my cars in big dealers so this is my first experience with a family name type dealer. (not to say they are small or inferior in any way). I initially submitted the query and a credit application online. The next day I received a call to validate the information and discuss options "prior" to even checking my credit. That same night I went to test drive the car, the guys were friendly and not at all like a dealer: not pushy, not opinionated, just pleasant. I decided to go for the car and took the application and was approved. The next day I came back for the car and to sign the paperwork, all in all it must have been 1 hour. There were no handoffs, no "speak to my manager", no haggles, no misunderstandings. I have to say this was the best experience ever in buying a car. I would go back and recommend them to anyone ever looking to buy. I was initially quite reluctant to buy here, since I'm from out of state and have found many small/family dealers to be even worse than the big operations. 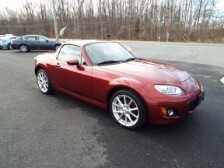 They had pretty much the only available PRHT miata in the mid-atlantic when I was looking, so I gave them a try. Spoke to Brian a number of times on the phone, he went out to the car and gave me a 10-15 minute walk around, describing any light scratches, etc, then a detailed description of the interior surface-by-surface. Definitely the most in-depth walkaround I've gotten, he did not try to hide anything, even minor scuffs ad the condition of radio knobs. After working out a contingent price, I agreed to drive up to DE on the condition I could fully inspect the car (I used to be an ASE certified tech). He agreed, and when I pulled up he had the car in a bay for me. He had no problems letting me do a very thorough inspection, he basically left me alone while I pulled plugs, used an inspection camera in the cylinders, probably 45 minutes looking for a gotcha. Car was exactly as described and in fine mechanical order. I did a short test drive and signed the papers, then headed out. In the month or so I've had the car, I've put nearly 2,500 trouble-free miles on it. There have been no surprises or anything that would make me hesitate to shop here again or recommend to a friend. I will say that when I pulled up I immediately felt better about the dealership. This isn't one of those fly by night buy here-pay here lots with a bunch of clapped out old beaters. 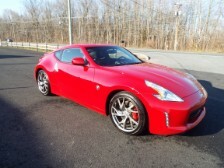 They had a huge selection of desirable, enthusiast-type *clean* cars, including 3 super clean 370Zs inside the showroom. They're a small dealer, but not by any means one of the shady operators everyone loathes. Basically, I went from hostile to apprehensive to appreciative as I came to realize they're not a stealership. Shop here with peace of mind that if you drive or fly in from another state, you won't be disappointed when you arrive. 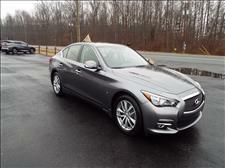 Fair price, quality car, square deal with no BS, pressure, or games. Thanks! United Auto Sales was amazing to work with. 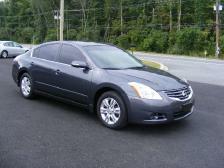 Brian was able to find me the car I was looking for 2011 Nissan Altima in my price range. The car looks fantastic and was detailed perfectly. I couldn't be happier with my new car. Their staff was very friendly, understanding and professional. They treat you just like family. They will definitely be my first stop for future cars. If you want to be able to get a car and not worry about being taken advantage of, this is the place to go. Thanks again United Auto Sales for all your help. I was looking for a car for my sons and was referred to United Auto Sales. From the moment that I spoke with Ron, he put my mind at ease. He listened to me to find out what I was looking for in a vehicle for my boys. He made suggestions and ultimately kept my budget and concerns in mind. Overall, he presented me with options which covered everything that I was looking for in a vehicle. From financing to delivery of the vehicle, Ron was there keeping me up to date and making me and my sons feel very comfortable. That is truly a unique feeling when buying a car. I can’t say enough good things about this company and the manner in which they conduct business. Absolutely Awesome! 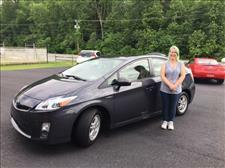 Great used cars and service - When we were looking for a car for my son after he received his license, Brian found an affordable car that was not only stylish but very reliable. Getting routine repairs performed at United Auto Sales is extremely positive. They have been very straightforward about what needed to be repaired. They have never told us that we needed to do additional repairs. I highly recommend United Auto Sales to anyone who wants a quality vehicle. Great salesman, great dealership, great deal. Really not much to say other than I am very pleased! I have been dealing with United Auto Sales for 15 years or more now. 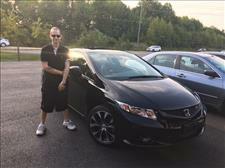 I have purchased 5 cars and referred numerous friends and family members. Number one, they're honest! On the rare occasions I have had repairs needed, be it an oil change or a bigger concern; they have never gouged me for unnecessary work or hit me with inflated charges. Secondly, they are fair. With each car I have purchased, my skeptical nature makes me do the leg work to get the best price. 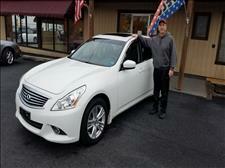 In every instance, Brian and Ron came in with the best car for the price and the best price for the car. Lastly, they are like family to me now, always pleasant and genuinely interested in my life. When you have that rapport with a car dealership, you stay loyal. Keep up the great work! Best experience I ever had buying a car. I had the pleasure of meeting, Brian, Ron, and Paul, all three are very knowledgeable, friendly, courteous etc. They make you feel like part of the family from the moment you walk in the door. The first dealer that I ever felt was on my side and had my best interest and satisfaction from start to finish. All their cars are A+ and always better priced than anywhere else. I even had the pleasure to speak with Dave, who is the mechanic, when I stopped in and Brian was busy he approached me right away to make sure I was taken care of....and when I recently took my car back for routine maintenance Dave took extra time and care to explain things to me and address any questions I had. I highly recommend if you are looking for a vehicle to go here first, I guarantee it will be the only stop you need to make. If they don't have it they will find it for you. I will be taking all my future car buying needs to them and service too. Brian and the whole team at United Auto Sales are simply the best! Brian is like the ultimate auto buying consultant. Extremely knowledgeable, discerning and patient. From the beginning, he is your advocate, and he does not stop until he has found the best possible car for you and your family. When we returned from overseas assignment, Brian found us two special SUVs at auction. He spent all the time necessary (and more!) to find what we were looking for, all the time pointing out very valuable things about the prospective cars. Things we would not have known to look for if we were on our own. Ever since then, I have not gone anywhere else for automobile needs. Brian and his team were recommended to me through work, and I have not stopped recommending him to others. It is rare when you find someone who loves what they do and is so good at it. We are very glad to have found United Auto Sales! It is my sincere hope that others will call you for all their automobile needs. Fantastic! 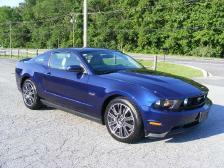 Just a note to tell you what a good experience it was buying my 2011 Mustang GT. I'm very happy with the car and have had NO bad surprises with the vehicle. 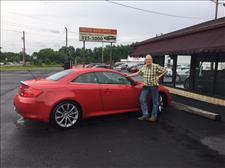 Ron did a good job and made the car purchase very easy. I would recommend United Auto Sales/Del, to my friends. United auto sales ROCKS the resale world! 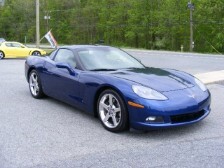 I have purchased two cars from United Auto Sales in the past ten years. I am happy to say we are still driving them. 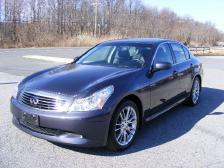 For both cars (infiniti I30 and Nissan Maxima) we had great service. 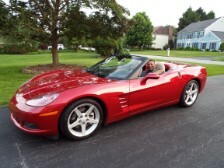 We told Brian what we needed the cars for, how would be driving them and he gave us great recommendations. Over the years we have had to do routine repairs and for the most part have brought them back to United Auto Sales. They have been very honest about what needed to be repaired and the pricing. They have never told us that we needed to do additional repairs and now that the vehicles are getting older I value their knowledge and expertise in what are necessary repairs to keep the cars going. 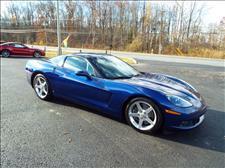 I highly recommend United Auto Sales to anyone who wants a quality and reliable resale vehicle. I was extremely pleased with the quality of service at United Auto Sales. Everyone there is very helpful and polite and I left with an awesome vehicle. I would definitely go back because I trust this dealership. They offer fair prices, services, and great cars. I recommend United Auto Sales to all my family and friends. Brian, Ron, and the rest of the team at UAS represent the best of what a car dealer should be….knowledgeable, friendly, courteous, and overachievers when it comes to great customer service. My wife and I have worked with this team on two separate occasions and we can’t be happier. The transactions have been smooth as silk and their finance rates are among the best around. Recently, Brian went over and above and was involved in the transaction from start to finish. 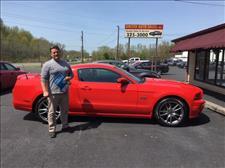 He called several times after to make sure everything went smoothly and we were happy with our purchase. We couldn’t ask for a better experience than we had with this team. We’d recommend the team at United Auto Sales to anyone looking to work with a straightforward, knowledgeable, and friendly dealer for your next vehicle purchase. 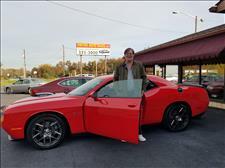 I had a fantastic experience with United Auto Sales. I told them exactly what I was looking for, and they let me test drive all my options. Every single car I looked at was wonderful- well maintained, sounded and looked great. 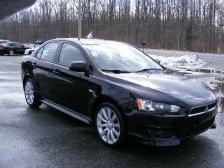 I ended up with a Mitsubishi Lancer and I absolutely love it! The service was great! This was my first experience buying a car for myself, and they helped walk me through the process, and answered all of my questions. I know my next car will come from United Auto Sales! 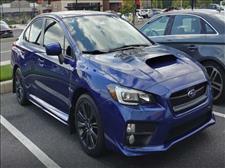 When I agreed to help my son find a Subaru WRX STI to buy as his first car, I was unprepared for what I encountered. The ones available were either too expensive, the dealers too shaky, or both. 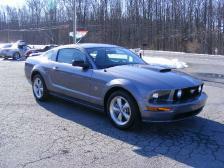 That is until my son found a nice looking 2007 (limited edition) model at United Auto Sales. From the first phone call I was immediately aware that these guys seemed sincere. As the deal progressed, and we took possession of the car, I was convinced that the folks at United Auto Sales are the real deal – car sales folks you can trust! Everything they told us about the car was 100% verified and they bent over backwards to make it work for us, putting all season tires on it for us for the drive back to Pittsburgh (this was February), and even meeting us part way with it so we didn’t have to drive all the way to Delaware, saving us both time and money. And best of all, the car was a fair price that we could afford and really pristine – no rust or marks anywhere on the vehicle. We took a chance buying it sight unseen and we couldn’t be happier with the outcome. 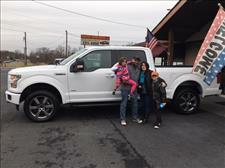 I really appreciate all the help that Ron, Brian and Sandy provided that made this purchase go so smoothly. My son loves his Suby! 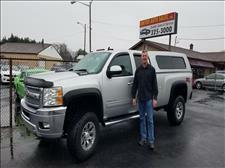 I have been a customer of United Auto Sales for more than 25 years now. During this time, I have purchased 16 vehicles for myself or someone in my family and have had all my cars serviced and maintained there as well. Each and every vehicle I have purchased has come without any surprises and in excellent condition. I am given a complete background on the car’s history and told the pros and cons of every vehicle I might be considering. They are the only car dealership I’ve know that actually takes the time to build long lasting relationships that go beyond just selling a car. Anyone looking for a truly honest experience buying a car or getting service done on their current vehicle should go to see them. I think of a "trustworty used car salesman" as an oxymoron. Not in this instance. I refuse to buy a car from anywhere else. I bought my first vehicle, a 2001 Nissan Xterra, from United Auto Sales in 2002. A co-worker of mine highly recommended them. I looked around at other dealers to compare prices. One of the dealers said, "You're getting that Xterra for what?!" which sealed the deal for me. Many of my co-workers buy their cars there because United Auto Sales is awesome. 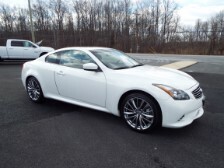 Brian and Ron are not pushy and they take the time to listen to what you want and work diligently to find the car you desire if they do not have something you like on their lot. In fact, my husband and I just recently purchased our third United Auto Sales vehicle last month because my husband's old truck needed another engine. We opted to get rid of it. United Auto Sales was able to sell our truck and within a couple of weeks we were in our new Nissan Frontier, which my husband likes very much. We were even given (yes, for free) a loaner vehicle during the time my husband was without a truck to make transportation to and from work easier on us. We both work full-time and have two children. We depend a lot upon our vehicles. Brian, the owner of United Auto Sales, and Ron, his long time friend and associate, are all about customer satisfaction. 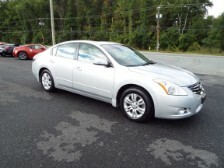 I traded in my Xterra for a 2009 Galant that was on their lot in June of 2010. Brian took about one-half hour out of his time to look at the Galant's reviews, etc. He said, "I've got to be honest with you, I don't know as much about these as the Nissans. Let's look into it and see what you think." It's been a great car -- pretty zippy for a four cylinder and great on gas mileage. Finally, Dave, the mechanic, is just as friendly and helpful as the rest of the staff. Before "I saw the light," I used to take my vehicles to dealers for maintenance and it seemed that every time I went for an oil change or something minor, I ended up spending twice as much as I had anticipated. I truly trust United Auto Sales and I strongly suggest that you consider speaking with them if you are in need of ANY kind of vehicle, not just a Nissan. Brian and Ron will take care of you. We have been doing business with United Auto Sales since 2006. 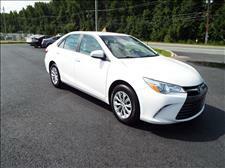 It has been such a pleasant experience from purchasing a car to getting our cars serviced. We recommend them to anyone interested in purchasing a vehicle to stop by United Auto Sales first. You will not be disappointed. This highly ethical business really listens to the potential customer to find the right vehicle for them which stays within their budget. Kudos to Brian, Sandy, Ron, Dave and the team. Thanks for all you do. I have been purchasing cars and getting service on my vehicles from this family business for over 25 years. This includes BMW, Lexus, Porsche, Toyota and Z cars. I have purchased over 20 cars from United Auto Sales and my family has purchased at least 20 cars from United Auto Sales. In fact, my extended family comes all the way from Maryland and N. Carolina to DE just to buy cars from United Auto Sales. They have a honest and no nonsense approach to selling and servicing vehicles. My latest purchase is a 2005 BMW that I requested as a special order. The vehicle was delivered to me as close to new as one could imagine for a used car. When I special order a vehicle from United Auto Sales, I always have a complete sense of trust that I will get a great deal and a accurately represented vehicle. When I buy right from inventory, I still get a great deal. My service bills at United Auto Sales on my vehicles are typically half of what I would pay the big BMW or Lexus dealerships. Over the years, all of my expectations have been exceeded. I can't imagine why anyone would shop anywhere else. FYI, I don't normally do reviews but this dealership does a great job. 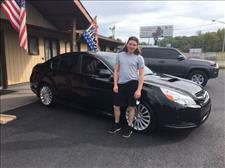 Tom V. - Cadillac CTS I have worked with Brian and his staff for the last 5 years and have purchased two cars. Both experiences were outstanding. From the quality of the cars United Auto offers, to their impeccable customer service and their attention to detail in every aspect of the process … they are second to none. Interactions were never rushed, regardless of the time of day, and the process of buying a car was actually pleasant. I found myself walking away feeling (in both situations) like I received a fair deal on cars that I would not have otherwise been able to find on my own. I have recommended Brian and his team to numerous colleagues and friends and have no hesitation in doing so in the future! It has been a pleasure doing business with you. Everyone has been kind, courteous and helpful. I love the Ford 500 we purchased from United Auto Sales. You have taken care of anything we have needed, and we will continue to bring the vehicle in for service. We have also let anyone looking for a vehicle to try United Auto Sales. Thank you very much!